I love that after the Safe At Home Foundation event at Nokia Theater in LA, Sandy Koufax flew back, yes back! to Camelback Ranch! What a thrill for the young and older (we are starting to have too many of those) players to have Sandy Koufax at the Ranch! 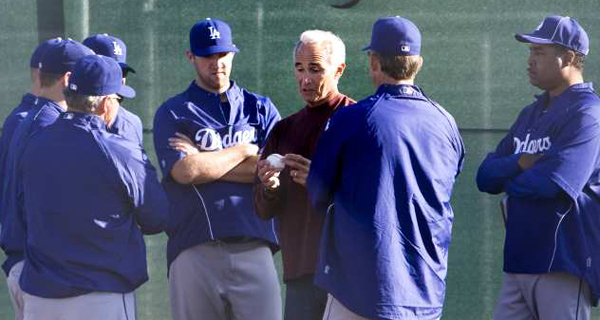 We couldn’t top the Dodgers “special coach” for today’s B Game … Hall of Famer Sandy Koufax was in attendance. Mike: Koufax was giving away the secrets of the Mets pitching staff. Just kidding Mike! Friday at Camelback against the White Sox. White Sox are the home team. Saturday at Camelback against the White Sox. Dodgers are the home team. Sunday at Tempe against the Cubs. Monday at Scottsdale against the hated Jints. If anyone from the blogsphere is at any of these locations, let me know! I love to meet baseball fans! A shower of runs for the Dodgers and just a few scattered hits given up. 2010 Road Trip: Camelback here I Come! My first road trip of 2010 will be this Friday when my friends and I leave early Friday morning! We will be back on Monday. The Dodgers will open Friday against the White Sox. Padilla will start followed by Ortiz and Haeger plus relief candidates Luis Ayala, Scott Dohmann and former White Sox Jon Link. The White Sox are scheduled to counter with announced Opening Day starter Mark Buehrle, followed by Jeff Marquez, Scott Linebrink, J.J. Putz, Santo Luis and Freddie Dolsi. Former Dodger Juan Pierre is among the new White Sox. A name that I had forgotten that is now a White Sox is Andruw Jones. I can’t wait!!!!!! I was checking the weather report in Glendale and they are predicting rain for Sunday but who cares! We get to see our boys in Blue! and guess what? Sandy Koufax is there!! Whoohoo! This time we know where they have those cameras on the freeway so we are prepared! Congratulations to Jeff Weaver who became a dad last Wednesday. Son Drake weight in 8 pounds. Congrats to the Weaver family including uncle Jered. 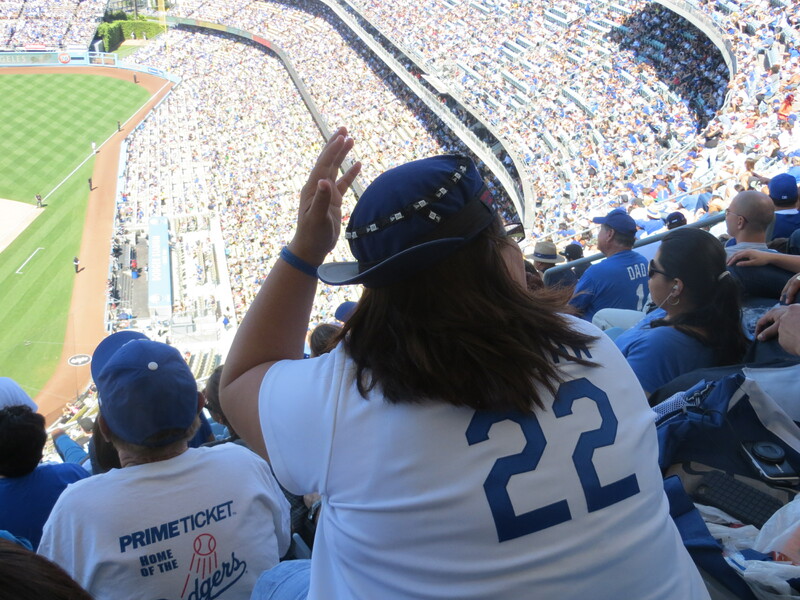 Luvthedodgers23: Shall we look for Adrian Gonzales restaurant this time? We lost another Brooklyn Dodger player. Some of you might remember my post about Brooklyn Dodger Players Alive, well, I am sorry to report that we lost another one. The second oldest living Brooklyn Dodger outfielder, George Cisar passed away February 19, 2010 at the age of 99. Cisar played for the Dodgers in 1937, batting .207 in 20 games. Now there are 62 living former Brooklyn Dodgers.